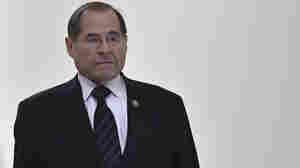 April 19, 2019  House Judiciary Committee Chairman Jerry Nadler on Friday subpoenaed the Department of Justice for the full Mueller report without redactions and the underlying documents. He set a May 1 deadline. 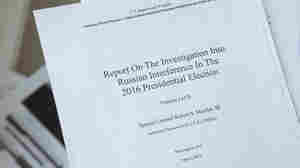 April 18, 2019  Today's nearly 400-page report comes after two years of investigation into Russia's involvement in the 2016 election. After a day of learning the details, listen to NPR's live wrap-up from 8-9 p.m.
April 18, 2019  CIA Director Gina Haspel made a rare public appearance — including a question and answer session — at Auburn University to speak with students about global threats. 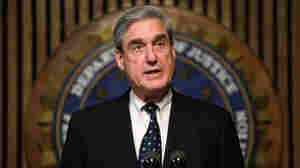 April 18, 2019  Attorney General William Barr explained before the release of the special counsel report that the law and regulations kept him from including everything that Robert Mueller uncovered, as well as how. 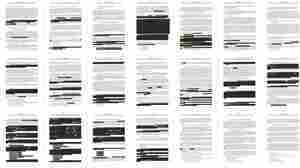 April 18, 2019  A redacted copy of the Mueller investigation report has been released by the Justice Department. 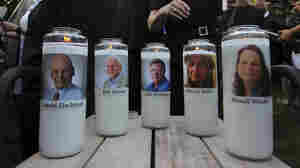 NPR reporters and editors are analyzing and annotating notable excerpts from the document. 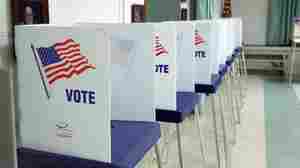 April 18, 2019  Attorney General William Barr has released special counsel Robert Mueller's report on Russian interference in the 2016 U.S. election. 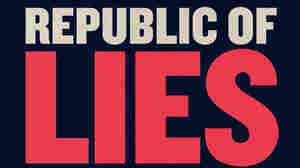 Democrats have pushed for Congress to get an unredacted version. 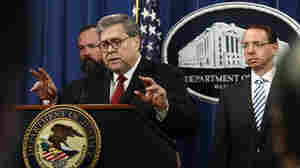 April 18, 2019  Attorney General William Barr holds a live press conference on Special Counsel Robert Mueller's report into Russian interference in the 2016 election.